Office Time : 12 Noon to 5 PM – All days including Sunday. Directions : Get down at Nalasopara Station on East side and come below east-west flyover. Take a rickshaw opposite moniginis cake shop (goes to highway) and get down at “Shaan Bar” Stop. Walk 2 minutes on Navjeevan road opposite “Shaan Bar” for School. Directions : Pass Dominos flyover on the Gujurat highway. Come to Vasai Phata (don’t take flyover after Dominos flyover).Take a left from Vasai Phata(the road goes to Vasai Station). 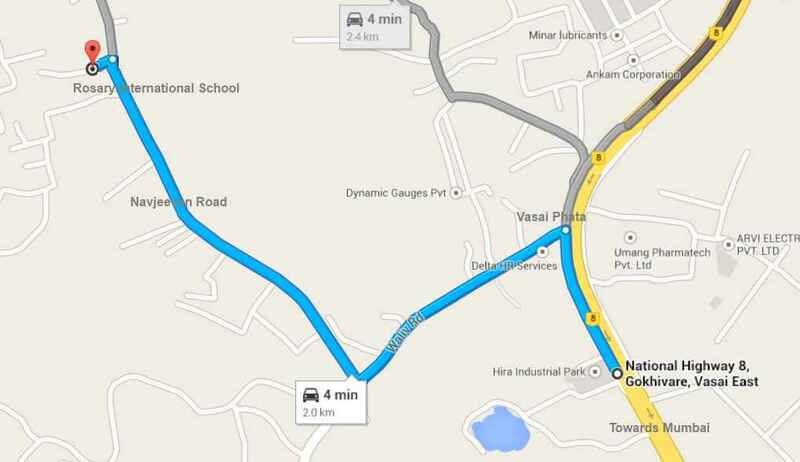 Go around 0.8 KM on the road and take a right from Tungareshwar Sweets shop. Go approx 1 KM on the Navjeevan Road for the School opposite Maganlal Dairy Farm. We might try and contact you to provide more details about the school and admission process.